Buckle up and get ready for the race of your life! 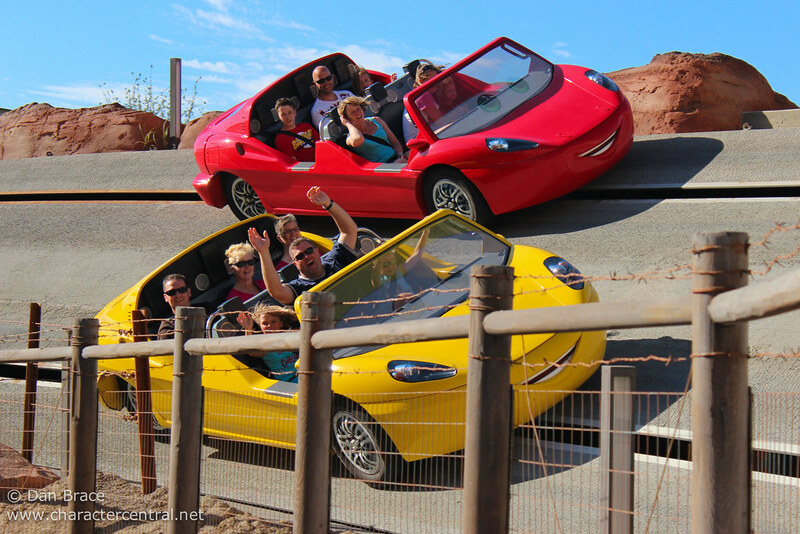 Speed through Ornament Valley, and glide through Radiator Springs in this high speed, thrilling race to the finish line! Disney's FastPass and Single Rider are normally available at this attraction. Please check on the day of your visit. RSR DCA's newest e-ticket attraction, and is insanely popular. You MUST arrive at park open, and either head straight there, or go straight to FastPass distribution.